From Monday to Friday you can reach our support hotline. 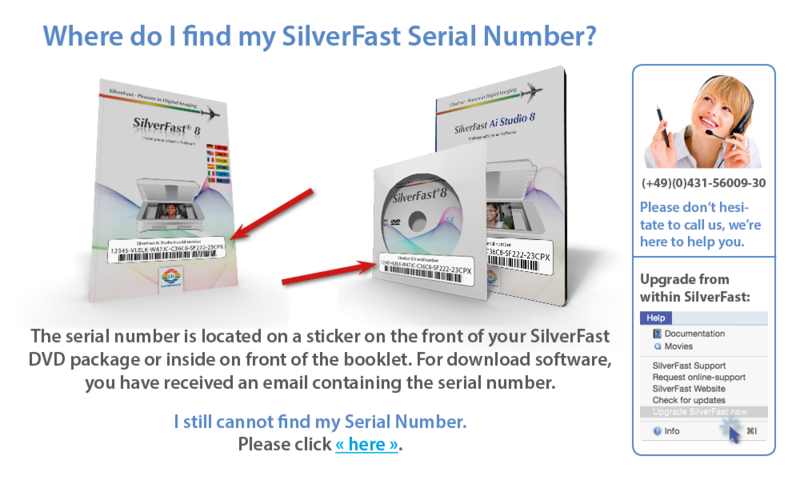 You can also contact us from within SilverFast. 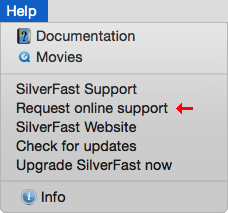 In the Help menu you will find the entry "Request Online Support". This has the advantage, that it will provide us with your log and support files. Title 2: please choose Dr. Dr. Dr. Prof. Prof. Dr. Prof. Dr. Dr.